Stuffed Mushroom Pouches Now For Sale on Etsy! 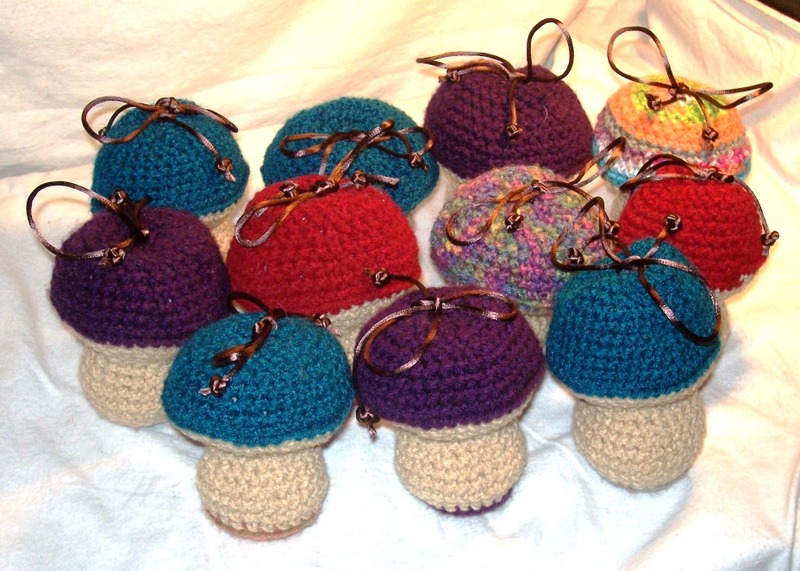 These hand-made crochet plush mushroom pouches are now on sale in the Amigami Etsy shop! Made with machine-washable, kid-friendly acrylic yarn, and stuffed with soft polyester filling, these cute little pouches are a great way to fashionably carry and protect your belongings. Standing between 4-5 inches high, each mushroom features an inner crocheted lining which measures about 3 inches wide by 4 inches deep. Finished with a brown satin cord drawstring, these cute little mushrooms are made using the spiraling Amigurumi crochet technique typically used in children toys. Even though I’m just now posting these on the web, these Stuffed Mushrooms are already an Amigami best-seller, and make great gifts for anyone from kids to grandmothers. There are several colors and sizes available, make sure to get yours while they last! And of course, any requests for custom mushroom colors/sizes will gladly be accommodated.